Milner exhibited in mixed exhibitions at the Mayor Gallery, Redfern Gallery and Gimpel Fils and had solo shows at E.I.T Mesens London Gallery (1949) and Woodstock Gallery (1967). The numbers that appear alongside Milner's signature are actually the titles of his pictures which were classified by a series of figures, often prefixed by a letter. 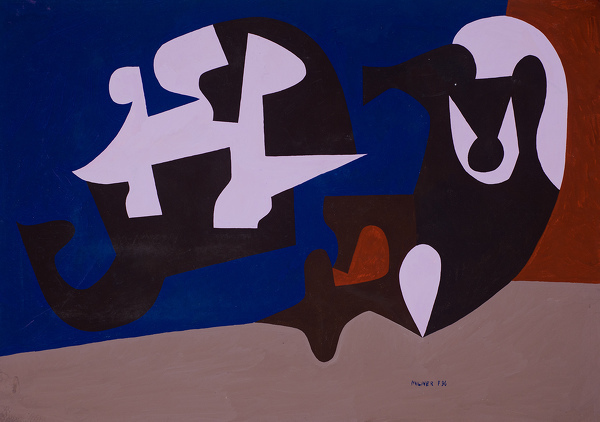 His abstract compositions show him to have been a technically brilliant artist with a highly developed sense of form and colour which, on account of his remarkably distinctive and consistent vision, deserves greater recognition.